It has become increasingly evident that effective planning for sustainable communities, environments and economies pivots on the ability of planners to see the possibilities for culture in comprehensive social, historical and environmental terms and to more fully engage with the cultural practices, processes and theorisation that comprise a social formation. More broadly, an approach to planning theory and practice that is itself formed through a close engagement with culture is required. 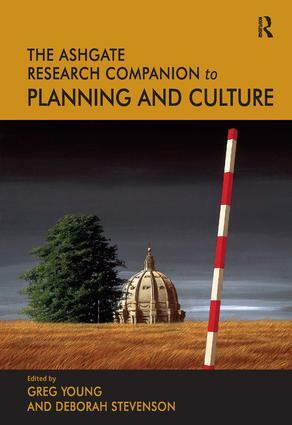 This Research Companion brings together leading experts from around the world to map the contours of the relationship between planning and culture and to present these inextricably linked concepts and issues together in one place. By examining significant trends in varying national and international contexts, the contributors scrutinise the theories and practices of both planning and culture and explore not only their interface, but significant divergences and tensions. In doing so, this collection provides the first comprehensive overview and analysis of planning and culture, interdisciplinary and international in scope. It is comprised of six parts organised around the themes of global and historical contexts, key dimensions of planning and cultural theory and practice, and cultural and planning dynamics. Each section includes a final chapter that provides a case study lens which pulls the themes of the section together with reference to a significant planning issue or initiative.